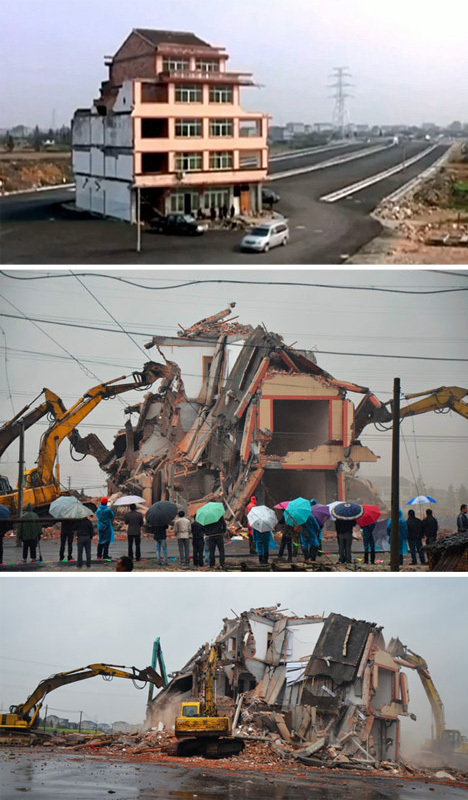 China is full of strange stories of so-called ‘nail houses’ – homes of people who refuse to move to make way for a large development project. Still, this one was particularly unique: its owners held out while a whole major motorway was constructed on all sides. 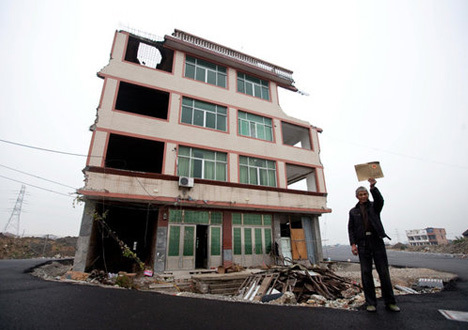 Situated in Wenling, its owner Luo Baogen refused the compensation deal offered to him and the owners of over 400 nearby properties. After a full year of waiting with his wife as they were hemmed in by highway, they finally accepted an improved offer from the government and moved. 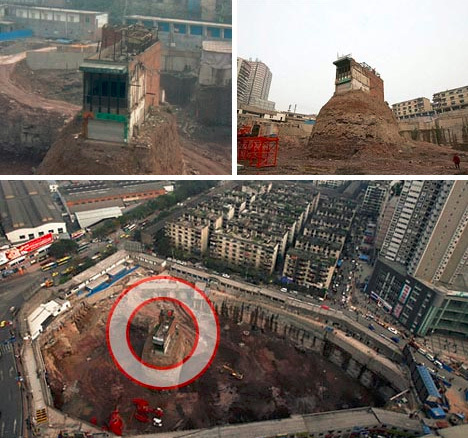 In another similar situation, owner and occupant Wu Ping refused an offer (one out of nearly 250 in that case) to move, and found herself surrounded by a sunken pit as shopping mall developers began excavating prior to constructing a new shopping center. Structures in this situation are dubbed ‘nail houses’ because, like a nail wedged deep into a board, they can be stubborn and difficult to remove.